Today we had a RAD Rhythmicity workshop with Terrific Tim! 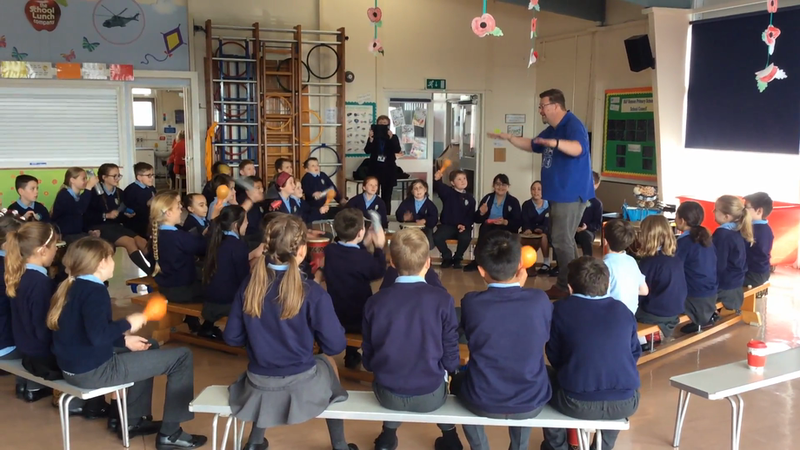 We had a workshop with Year 5 and played with lots of different percussion instruments. We played our Breakfast sounds, don't worry it's not what you are thinking...we played the rhythm of the words. For example: Choc-o-late Bri-oche. 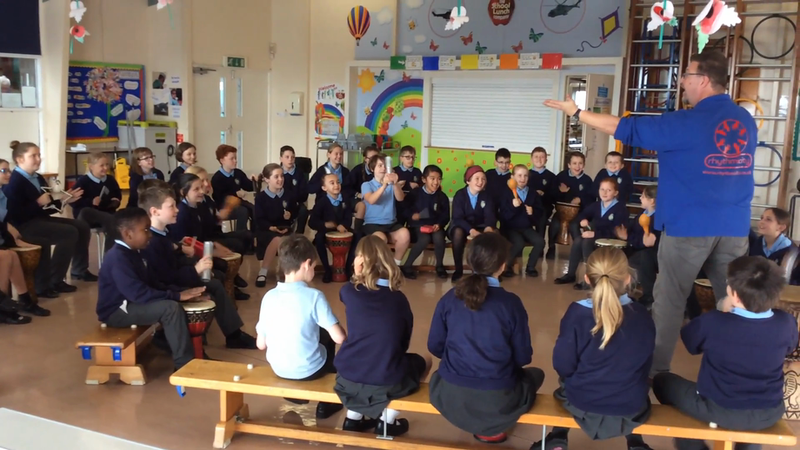 Have a look at some of the photos and videos of the children's marvellous music making!